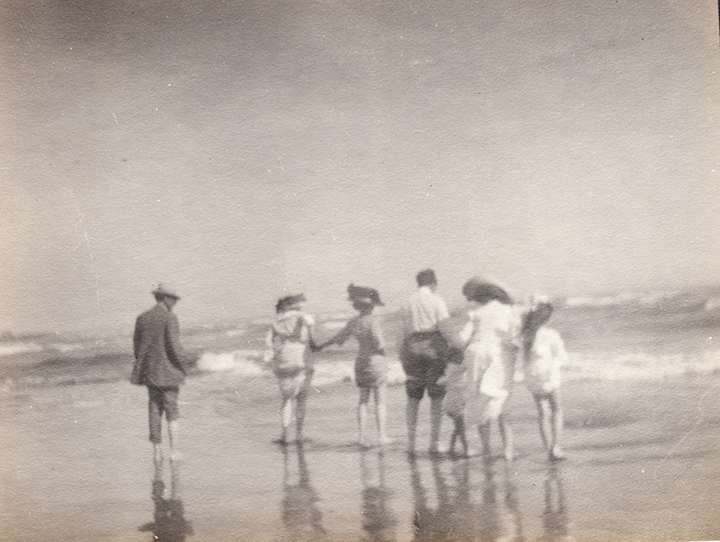 Here are a few more photos from the second, recently discovered “Mystery Dancer” photo album. Enjoy! The new neighbor. 516 Jones Street, San Francisco. 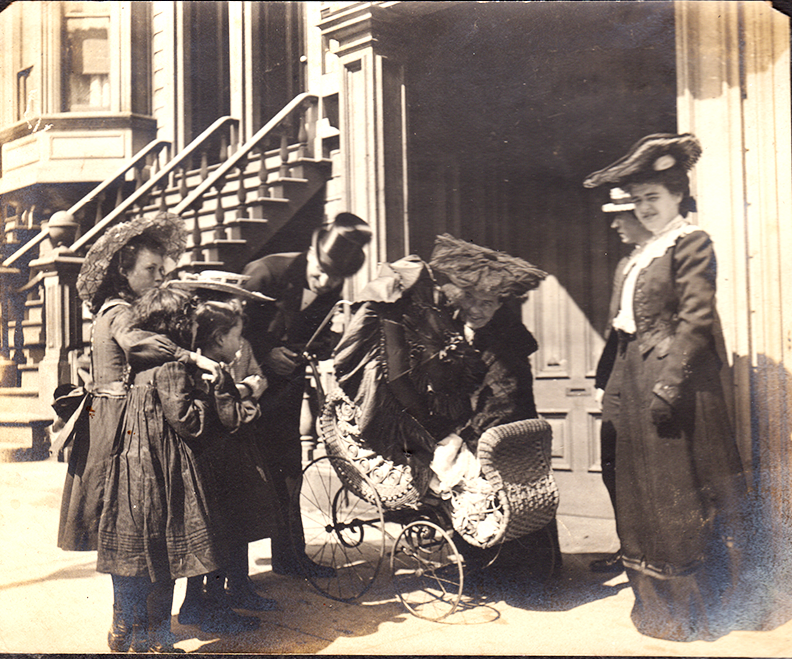 Above, Alfred and Clara Cheshire (bending over the carriage) introduce baby Ursula to the neighborhood kiddos. 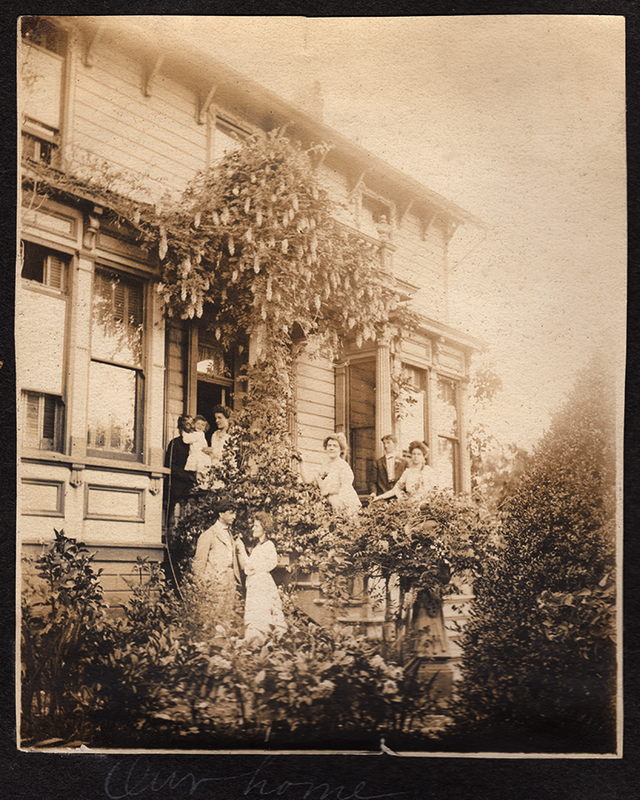 They, and one of Ursula’s aunts, are in front of the house where Ursula was born in 1902: 516 Jones Street near Geary. The house burned in 1906, the year of the great earthquake and fires. Alfred, Ursula and Clara are at the top of the steps under the canapy of wisteria. 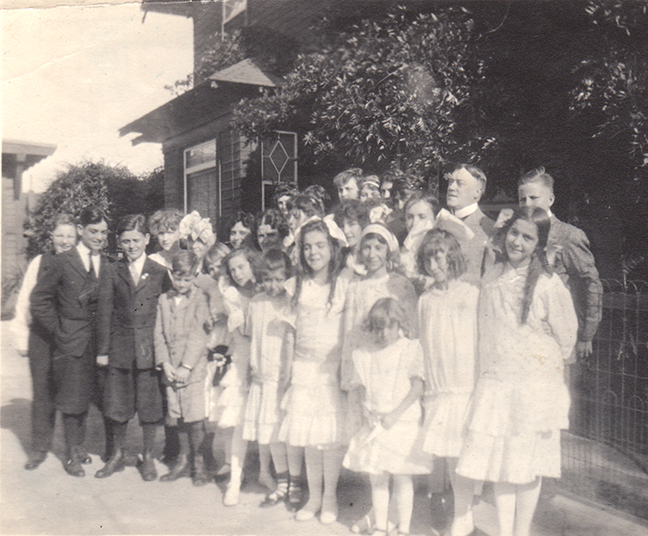 A family affair, on the steps of the Uphoff family home in Grass Valley, where Ursula’s mother, Clara Uphoff Cheshire, grew up. 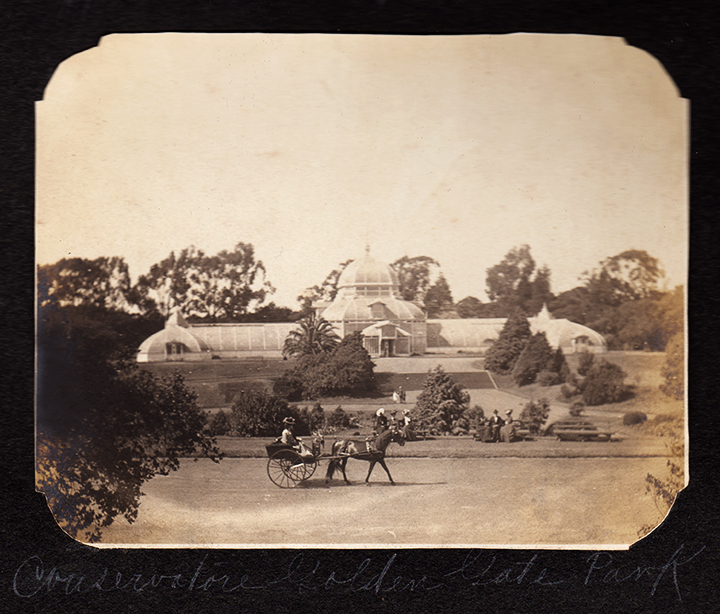 Described as a “gem of Victorian architecture,” the Conservatory of Flowers today is the oldest public wood-and-glass conservatory in North America. 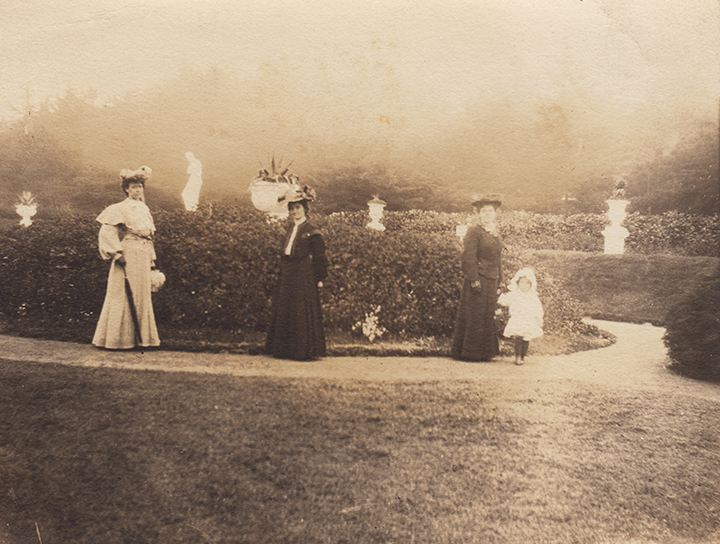 It opened to the public in 1879, and, according to the Conservatory’s website, “was an instant sensation and quickly became the most visited location in the park. 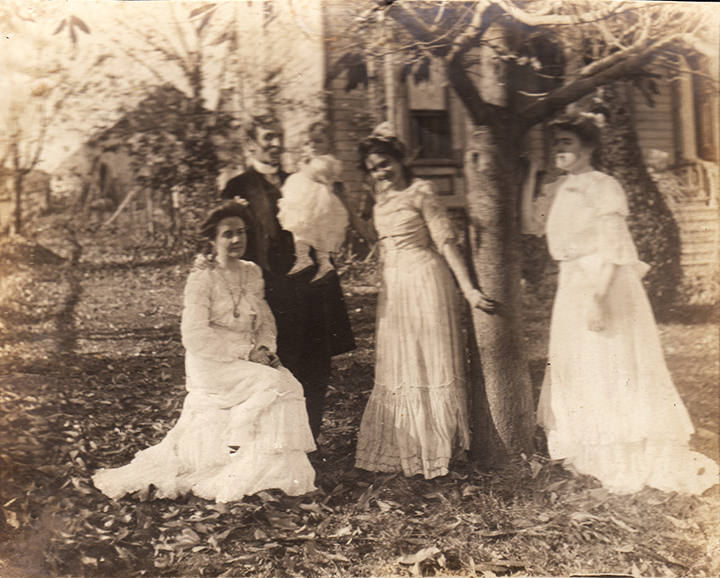 Clara, Alfred and Ursula Cheshire, and aunts Jeannette and Mathilde. 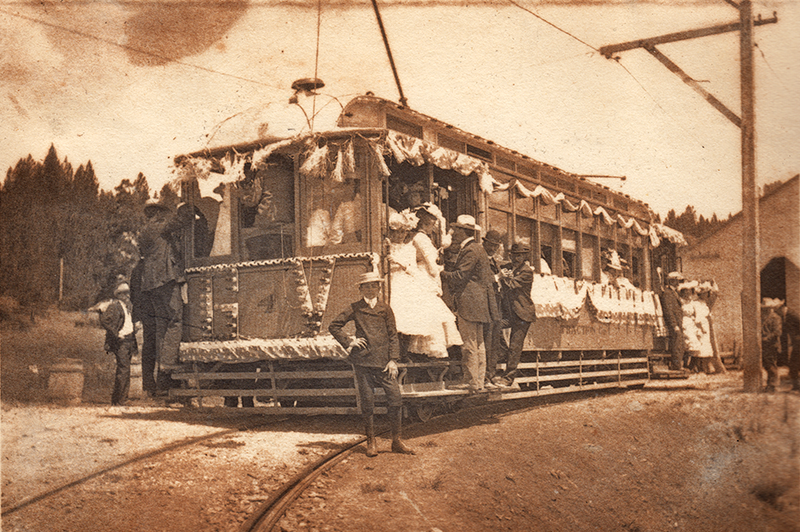 The handwritten caption under this photo says it was the first run of the electric car between Grass Valley (where Ursula’s mother grew up) and Nevada City, California. According to Wikipedia, the Nevada County Traction Company constructed the electrified railway in 1901; it covered a total of about 6 miles of track using streetcar technology. 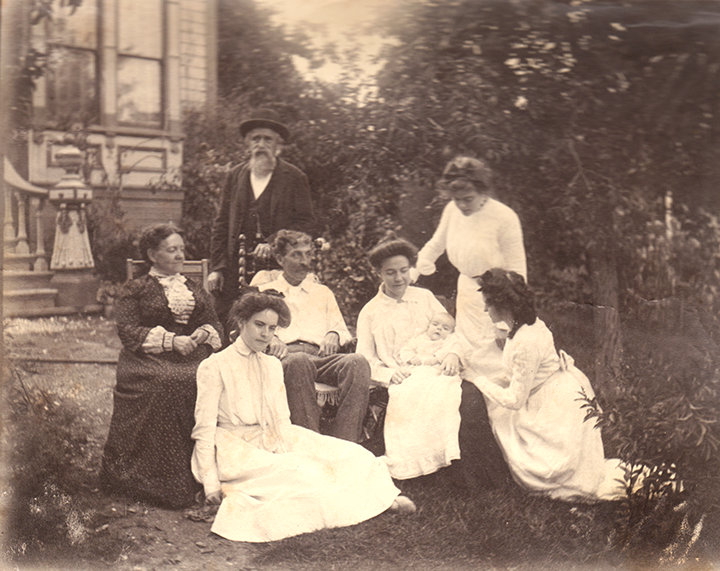 The discovery of the second photo album came at an auspicious moment. I have been so busy with my “day job” that I have not had much time to spend researching and writing the continuation of Ursula’s story at UC Berkeley and beyond. Finding this album allows me to stick to my posting schedule of every 1st and 3rd Tuesday of the month: when I don’t have time to research and write, I will just post a few random photos from the new album. Enjoy! 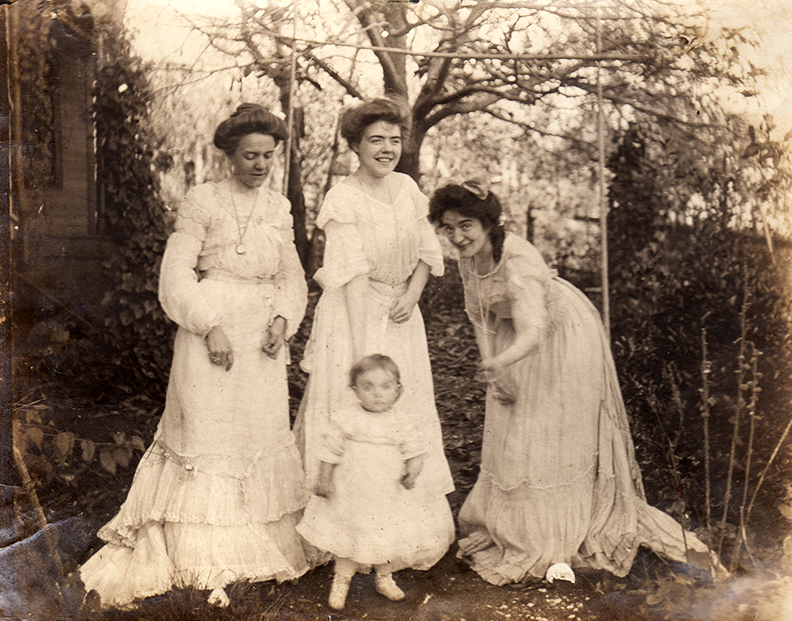 Left to right: Aunts Mathilde and Jeannette, mother Clara, and little Ursula. Golden Gate Park? 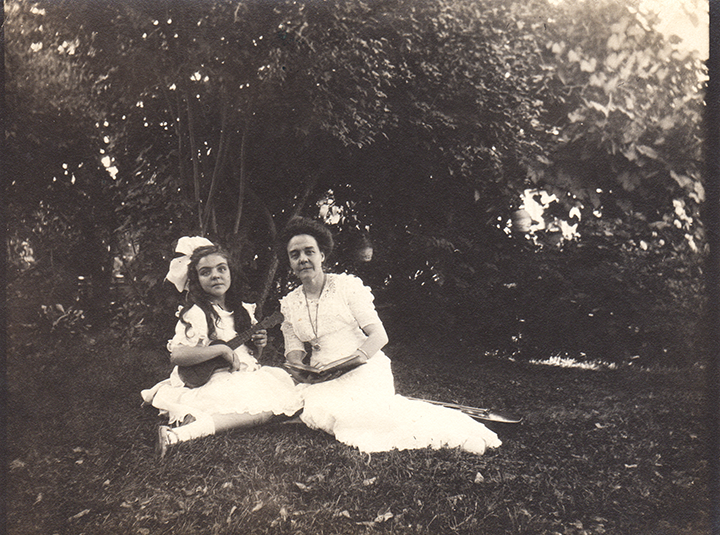 Ursula and Clara in Grass Valley Garden. Ursula’s father had just recently died. Thomas Taylor Drill’s Children’s Choir. Ursula is in the front row, center.